Elisse Joson is constantly smiling nowadays. This is despite the fact that she has roles in both The Good Son and Panday, along with the MMFF entry film version of the latter. She’s also gearing up to launch her new album soon. Here, she talks about all that she’s juggling and how she keeps everything balanced. “I know it might seem like a small thing, but scents are really important to me. So I’m very happy that Fiona Cologne is with me all the time. 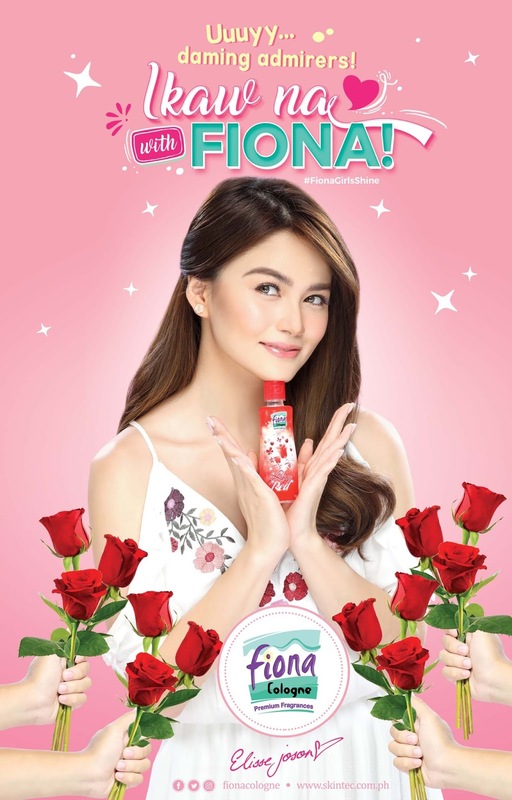 I love how I can go for something sweet like Fiona Cologne Rosy Red, and switch it up the next day with something fresh, like I just came out of the shower with Fiona Cologne Pretty Mist. I’m also in love with Raspberry Drops! It smells so yummy. I really have a hard time choosing, to be honest,” Elisse laughingly shares. A busy schedule filled with shooting and recording days do not seem to faze Elisse. Fiona Cologne, with its charming and attractive scents, brings out the fun and beautiful in everyone and will naturally make its wearer shine in the spotlight. Girls can now be effortlessly confident just like Elisse.